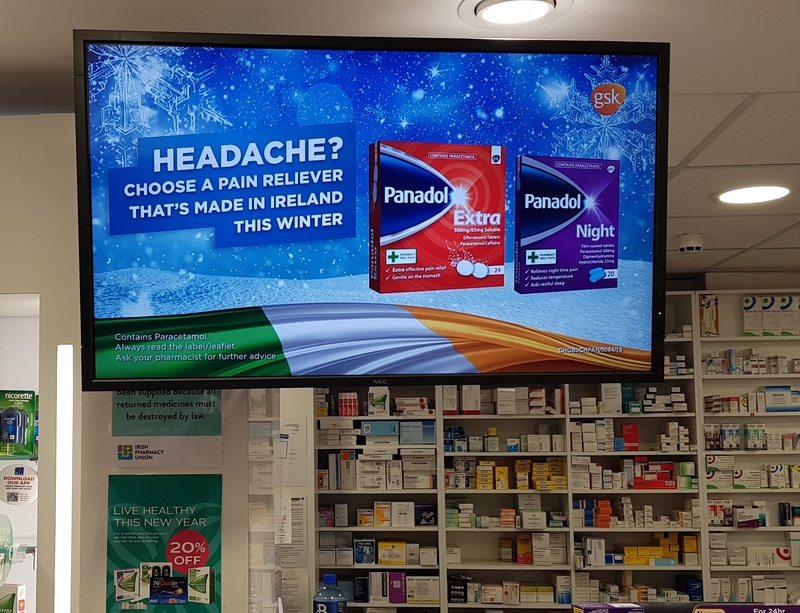 GSK is promoting its Panadol range across Visualise’s PharmaSeen TV network through a campaign placed by Mediaworks and Source out of home. 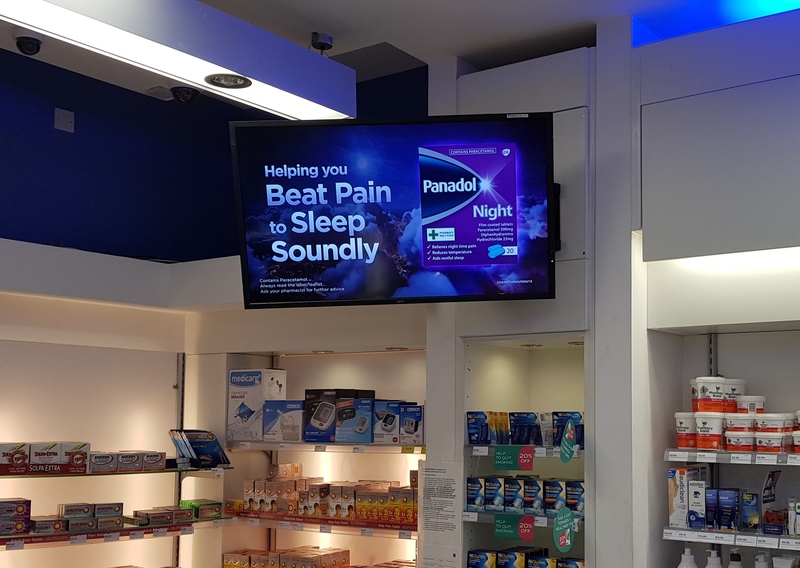 The digital signage platform was created specifically for the pharmacy retail environment. The channel content includes engaging health awareness messaging, pharmacy messages and relevant supplier advertising. Our proprietary Outdoor Consumer Study (OCS) indicates that 74% of adults notice advertising in pharmacies and a further 74% of them more likely to consider a product as a result of such advertising. GSK, one of the world’s leading healthcare companies, employs 1,700 people across four locations in Ireland. GSK in Dungarvan, Co. Waterford, is the global home of Panadol: around 6.5 billion Panadol tablets are produced here each year.